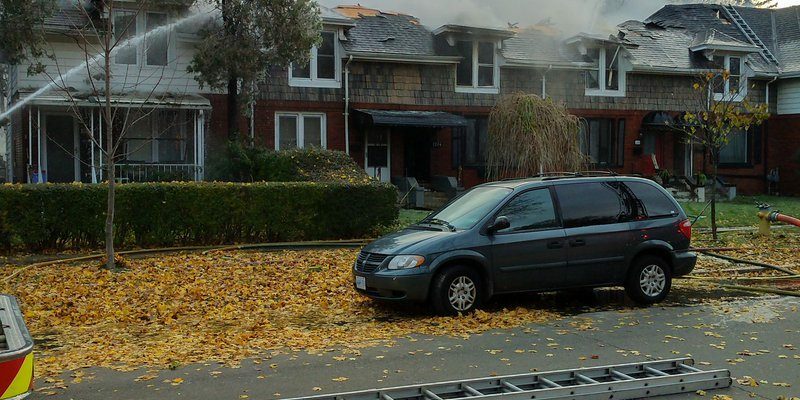 A fire engulfed a rowhouse in Walkerville early Saturday morning. Firefighters were called to Argyle Road near Ontario St. around 3 a.m. Residents of the six affected units were evacuated as well as those living in the adjacent units. The blaze started in a common attic space above the units and 44 firefighters were on scene to battle the heavy flames and smoke. The fire was declared out by Windsor Fire and Rescue shortly before 5 p.m. Saturday. At least two people and a dog have been displaced, but there may be others. No one was injured. The Ontario Fire Marshal will begin their investigation on Sunday and damage is estimated at $1.2 million. Windsor Fire would like to thank the residents of this Walkerville neighbourhood for their patience and understanding.